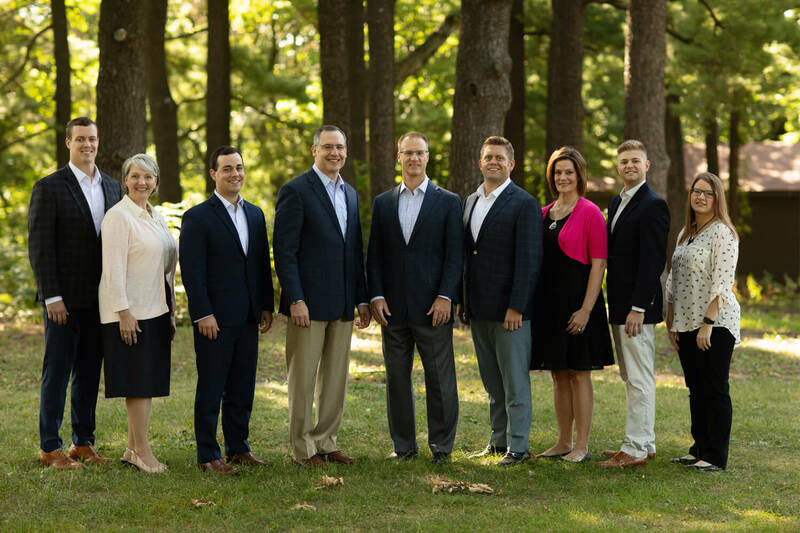 At McGill Junge Wealth Management, our team is dedicated to providing you with the very best service, working with you to develop solutions that fit your individual needs. Our emphasis on client satisfaction and specialized attention combined with our unique skills creates a climate of success. Ed McGill partnered with Ross Junge in 2013. Prior to establishing their firm, Ed had 22 years of experience as a financial advisor. He has an extensive background in asset and income protection, wealth management, incentive compensation plans and comprehensive financial planning for both individuals and businesses. Ed brings an expertise to our clients in tax efficient retirement distribution planning. Ed has been the guest speaker at the National Wealth Management Conference, the National Retirement Conference and many firms across the country; educating colleagues on the integration of investments and insurance to improve outcomes. Ed graduated with a degree from Drake University’s College of Business. He has earned his Certified Financial Planner (CFP®) designation, as well as, Chartered Life Underwriter (CLU®), Chartered Financial Consultant (ChFC®), Chartered Advisor for Senior Living (CASL®), Retirement Income Certified Professional (RICP®) and Accredited Estate Planner (AEP®). Ed has volunteered for over 15 years as a coach for numerous youth basketball, football and baseball teams. He has been an active volunteer at Lutheran Church of Hope, Orchard Place and the United Way. He also volunteers for and supports Fellowship of Christian Athletes, the Greater Des Moines Partnership, Coaches Against Cancer, Impact Iowa’s Heroes and Habitat for Humanity. Ed and his wife, Dawn, live in West Des Moines and have three children. In his free time, Ed is an avid reader; he usually has his nose in at least two books at a time! He also loves staying physically active, traveling with his family, going to movies, playing video golf (because he’s terrible at the real thing!) and supporting his Huskers. Ross Junge partnered with Ed McGill in 2013. Prior to their partnership, Ross had 21 years of experience in the financial services and asset management industries as an investment analyst, trader, portfolio manager and the Chief Investment Officer-Fixed Income at Aviva Investors North America. His experience with retirement plans, asset allocation, portfolio management and risk management spans multiple market cycles and positions him well to lead and develop investment strategies and portfolio design in conjunction with our comprehensive financial planning for our clients. Ross graduated from Simpson College with a Bachelor of Arts degree in Economics & Business Management. He also completed his MBA at the University of Iowa. He has earned his Chartered Financial Analyst (CFA®) designation, as well as, Retirement Income Certified Professional (RICP®). Ross has volunteered for many years as a coach for youth basketball, baseball, softball and football teams. He has also served in leadership volunteer roles including the president of the DCG Youth Football Program, treasurer of the DCG Mustang Baseball Club and board member of the Grimes Community Foundation and Grimes Parks and Recreation Board. Ross has also been an active volunteer at the United Way of Central Iowa (Income Cabinet & Essential Needs Committee), Orchard Place, Youth Emergency Services Shelter and Meals from the Heartland. He and his wife, Deanna, live in Grimes with their three children. In his free time, Ross enjoys attending sporting events, golfing, boating, hunting, fishing, traveling and spending time with his family and friends. Trent has been working with Ed McGill since 2010, after completing an internship with Northwestern Mutual. In his many years with our firm, he has grown from a young associate to our Director of Planning at McGill Junge Wealth Management. Trent oversees the development of comprehensive plans for our clients, the navigation of their estate planning issues and the collaboration with their attorneys and CPAs. His unfailing work ethic, his level of care for our clients and his unmatched attention to detail make him a highly respected and valued advisor at our firm. Trent graduated from Buena Vista University where he double majored in finance and accounting. He also played on the football team and served on the Leadership Council. Trent has earned his Certified Financial Planner (CFP®) designation, as well as, Retirement Income Certified Professional (RICP®) and the Series 7 and Series 63 FINRA licenses. Trent is a member of the United Way Education Leadership Initiative, the Polk County I-Club and he serves on the Professional Advisor Council for the Community Foundation of Greater Des Moines. In his free time, he loves following the Hawkeyes and being physically active. He recently ran the Dam to Dam 20k and the IMT Des Moines Half Marathon! He also plays in an adult hockey league and enjoys golfing. Muriah joined Ed McGill in 2006 and they have been working together for their clients ever since. Muriah’s experience over the last 13 years, her specialization in her field and her dedication to our clients has helped guide McGill Junge Wealth Management to where it is today. As our Insurance Operations Specialist, Muriah regularly joins client meetings to bring her expertise in insurance solutions. She prepares our customized illustrations and takes our clients through the underwriting process with a timeliness, efficiency and care that they appreciate. Muriah has earned her Chartered Life Underwriter (CLU®) designation, as well as, her Life and Health licenses. Prior to her many years with our firm, she was Manager of the Sales and Inventory Department for a NASCAR merchandise distributor in Kentucky. She is involved with the United Way, the Chrysalis Foundation and Compassion International. Muriah and her husband, Shawn, have three children; Gunner, Hunter and Clarissa. In May 2018 they became first time grandparents! She and Shawn take every opportunity to go visit their grandson in Kentucky. Muriah and her family love spending time together outdoors. In their free time, they enjoy camping, hunting and fishing. Jennifer joined McGill Junge Wealth Management in 2015, after working with Northwestern Mutual for 14 years. Her smiling face and joyful personality will welcome you the moment you walk through our door! As our Office Coordinator, Jennifer keeps everything running smoothly. With her passion for our team and enthusiasm for helping others, she truly enjoys interacting with our clients, scheduling appointments for them and providing any servicing needs they may have. Her servant mentality has made her invaluable to us, and even more so, to our clients. Jennifer is a graduate of AIB and she has earned her Life and Health licenses. Prior to her nearly 20 years in the financial industry, she worked in the advertising and publishing fields. Jennifer has been happily married to Steven for 28 years and they have three children; Jessica, Lincoln (married to Laura) and Abbie. In her free time, she enjoys cooking, reading, volunteering and traveling. On a mission trip to India in 2017, Jennifer witnessed women and children facing poverty and difficult choices to earn a living. This incredible experience motivated her to become active in a central Iowa ministry, helping and supporting women at risk. Conor joined McGill Junge Wealth Management in 2016. In his role as an Associate Advisor, Conor is involved in the creation, implementation and supervision of our clients’ comprehensive financial plans. He has a specialized niche working with our NFL clients and our emerging affluent professionals. He also has an integral role in McGill Junge’s business development and he is a member of our marketing team, coordinating some of our client events. Conor completed his Entrepreneurial Management degree from the University of Iowa’s Tippie College of Business. He was a member of the Hawkeye football team from 2009 - 2013, earning All-Conference honors and Dean’s List recognition during his career. After graduating, he fulfilled his childhood dream of playing in the NFL, spending time on the Vikings, Texans, Bears and Browns. Conor has earned his Certified Financial Planner (CFP®) designation, Series 7 and Series 63 FINRA licenses, and his Life and Health licenses. Conor is a board member for Courage League Sports, a board member for the Polk County I-Club and a co-host for the Hawkeye Nation Radio Show. He is an active volunteer with the United Way and is a member of LINC (Lead Impact Network Change), an under-30 group dedicated to improving the essential needs of central Iowans, with his wife, Jessie. Conor and Jessie live in West Des Moines with their golden retriever, Cal. Together they enjoy traveling, biking, spending time with family and friends, attending festivals and concerts and, of course, going to Iowa Hawkeye football games! Before joining McGill Junge Wealth Management in 2017, Scott spent nearly a decade in institutional asset management as an analyst, trader and senior portfolio manager. He worked with insurance companies, foundations and public entities with assets ranging between $5 - $50 billion. He brings a wealth of knowledge and experience that is key to creating our clients’ strategic solutions. As Director of Investments at McGill Junge, Scott focuses on the development of investment strategy, the implementation of asset allocation and the integration of our clients’ portfolios with their overall financial plans. Scott completed his undergraduate degree in Finance from Iowa State University and went on to earn his MBA from Creighton University’s Heider College of Business. He has earned his Chartered Financial Analyst (CFA®) designation and holds the Series 7 and Series 63 FINRA licenses. Scott is a member of the Investments and Wealth Institute and the CFA society of Iowa. He sits on the United Way Education Cabinet, is active with the Education Leadership Initiative and is involved with Habitat for Humanity. Scott lives in Waukee with his wife, Lindsay, and their three children; Ailey, Cora and Gibson. He spends his free time with his family, devoting many hours to his kids’ activities. Scott is a huge Cyclone fan and he also enjoys playing golf, whenever he can squeeze it in! Justin came to McGill Junge Wealth Management in 2017, after spending two years at an investment firm, where he had been promoted to Senior Investment Operations Analyst. Justin facilitated the daily trade settlement and account reconciliation process with various custodians, and he was the liaison between public entity clients and national banks. He brings a high-level skill set to our firm. As an Investment Operations Associate at McGill Junge, Justin is responsible for our client onboarding and he maintains an efficient system for our clients’ account follow-up and servicing. He prepares our advisory reports and assists in the ongoing analysis of our clients’ portfolios. He also plays a primary role in supporting our 401(k) business. Justin thrives on the highly analytical work he does for our firm, and with his engaging personality, he is a tremendous asset in client meetings, as well. Justin graduated in three years with a Finance degree from Iowa State University, earning Dean’s List honors along the way, and serving as Philanthropy Chair for his fraternity. He was then selected for an eight-month internship in Cedar Rapids at an insurance company, where he assisted the Commercial Mortgage Loan Origination Team. Justin has earned the Series 7 and the Series 63 FINRA licenses, as well as, his Life and Health licenses. In his free time, Justin loves to golf; he would be out on the course every day if it were possible! He is a big Cyclone football and basketball fan, and he loves watching the Minnesota Wild hockey team. Justin also enjoys his family trips to South Dakota for some hunting and fishing. Paige came to McGill Junge Wealth Management in 2017. In her role as our Operations Associate, Paige participates in meeting preparation, case notes and client documentation. She helps maintain our client database, assists with projects and presentations, and she routinely provides workflow assistance to help ensure every detail is attended to. Paige brings an eagerness and a committed work ethic to our McGill Junge team. She is very conscientious and is simply a pleasure to be around! Paige graduated from DMACC, where she first developed an interest in personal finance. She has also earned her Life and Health licenses and is currently pursuing courses to earn her Associate Financial Representative (AFR) title. Prior to joining MJWM, Paige worked as an administrative assistant for Quality Manufacturing Corporation in Urbandale. She gained an abundance of work flow and database experience there, in addition to advancing her computer skills. Paige lives in Grimes, where she loves hanging out with her family and their cats, Spike and Tabbie. She enjoys reading, watching movies, going to her family’s lake house and cheering on her favorite teams! She is a big fan of the Hawkeyes, the Twins and the Steelers. She hopes to get to Heinz Field someday soon to see a game in person. Paige also loves many different kinds of music and she has attended many concerts! Edward McGill , Conor J Boffeli and Ross A Junge use McGill Junge Wealth Management as a marketing name for doing business as representatives of Northwestern Mutual. McGill Junge Wealth Management is not a registered investment adviser, broker-dealer, insurance agency or federal savings bank. Northwestern Mutual is the marketing name for The Northwestern Mutual Life Insurance Company, Milwaukee, WI (NM) (life and disability insurance, annuities, and life insurance with long-term care benefits) and its subsidiaries. Edward McGill , Conor J Boffeli and Ross A Junge are Representatives of Northwestern Mutual Wealth Management Company® (NMWMC), Milwaukee, WI (fiduciary and fee-based financial planning services), a subsidiary of NM and limited purpose federal savings bank. All NMWMC products and services are offered only by properly credentialed Representatives who operate from agency offices of NMWMC. Edward McGill is an Agent of Northwestern Long Term Care Insurance Company, Milwaukee, WI, (long-term care insurance) a subsidiary of NM. Edward McGill , Conor J Boffeli and Ross A Junge are Registered Representatives of Northwestern Mutual Investment Services, LLC (NMIS) (securities), a subsidiary of NM, registered investment adviser, broker-dealer and member FINRA (finra.org) and SIPC (sipc.org). Edward McGill , Conor J Boffeli and Ross A Junge are Insurance Agents of NM. Edward McGill , Conor J Boffeli and Ross A Junge are primarily licensed in IA and may be licensed in other states.